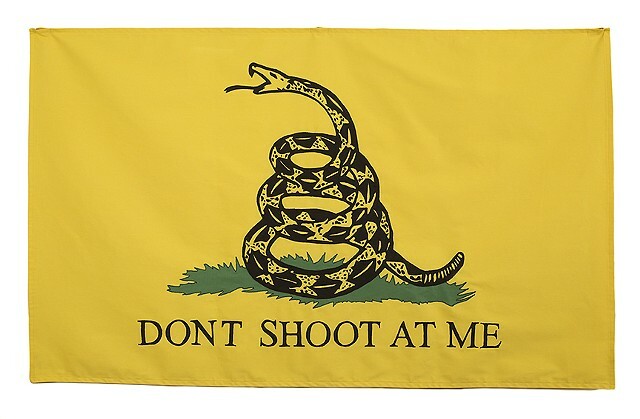 Don't Shoot at Me is a rendition of the Gadsden flag, consisting of meticulously cut and sewn fabric. A flag from the American Revolution, the Gadsen flag has been adopted as a symbol for the contemporary Tea Party movement, who are staunch gun rights advocates. With this piece, I am reclaiming this symbol to instead discuss the problem of gun violence in the United States.